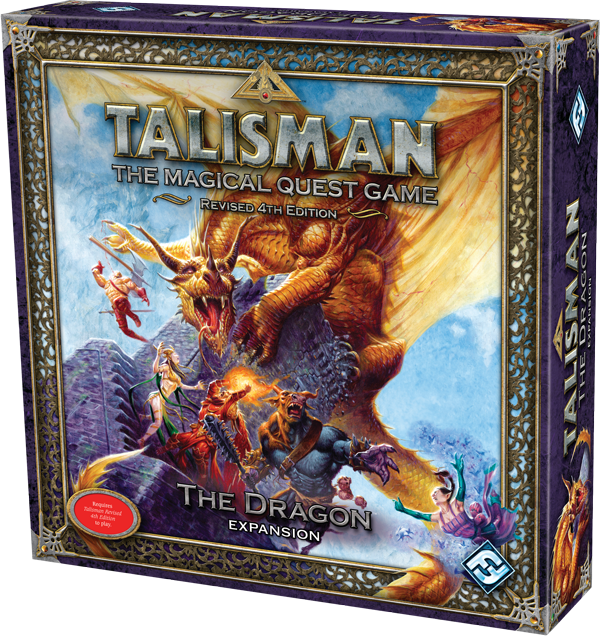 FFG details the new Talisman expansion. Playing with The Dragon expansion, players will encounter even more choices and strategic challenges, including a new, dual-sided Inner Region for their heroes to conquer. The alternate sides allow you to face familiar terrain along a path that requires all new tactics, or to venture into the Dragon Tower, where a hero’s every step meets opposition by the Dragon King’s minions and leads him ever closer to an ultimate confrontation with the Dragon King, himself. QC in board gaming, what is going on?